As a rule of thumb on healthy eating. We are what we eat, why not become hot and spicy? 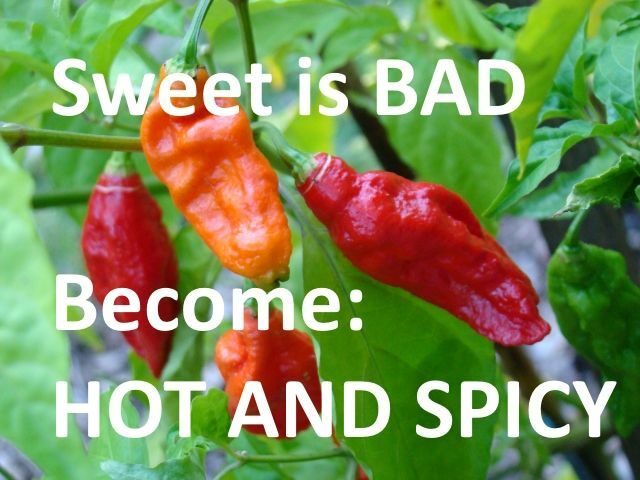 Sweet food are unhealthy, foods that are hot and spicy stop diseases. Instead of stopping gluten, maybe it is time to get off the bread! Foods to avoid: Bread, potatoes, grains, and of course, all sweets. When we stop eating sugar, and breads, that never-ending craving for food stops.